The 15-year-old had just accepted a plea deal that could see her back home and with her family at the beginning of 2018. She has spent the last nine months in jail after shooting her father in what attorneys say was self-defense after years of his abuse of her, her mother and other family members. But is it a fair deal? Most advocates for Bresha’s freedom have been saying that she should be allowed to be at home with her family so she can have the love and support she needs from the people who know her best. When asked how this conviction for involuntary manslaughter could affect her in the future, Wolfe said that a such a conviction is eligible for both sealing and expungement from Bresha’s record. All everyone wants is to see Bresha happy and smiling again. Perhaps this will be the way. Bresha Meadows, 15, accepted a plea of “true” Monday before a Trumbull County, Ohio, juvenile judge to a reduced charge of involuntary manslaughter in the shooting death of her father. According to WFMJ, a plea of “true” in juvenile proceedings is similar to a guilty plea. Bresha was sentenced to one year and one day in the custody of the Department of Youth Services, including time served, plus six months at a mental-health facility for issues including post-traumatic stress disorder. 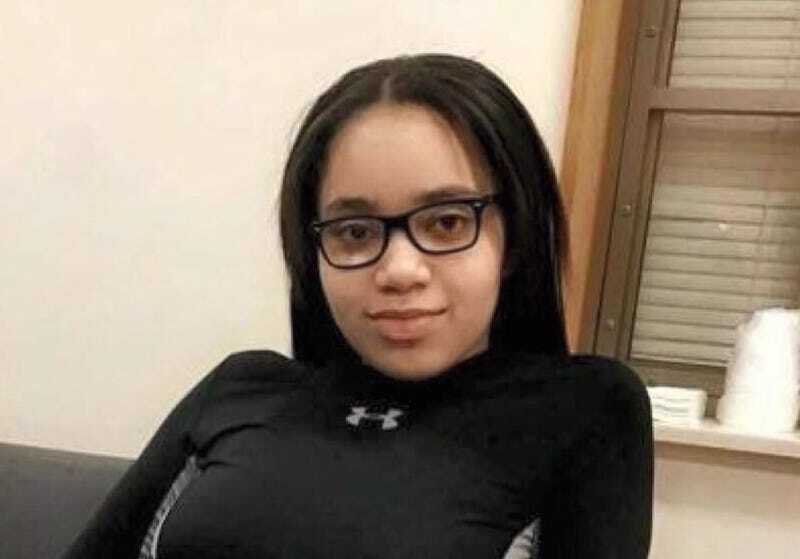 Bresha has already spent the last nine months in jail, and WFMJ reports that she will be transferred to a mental-health facility in Shaker Heights, Ohio, on July 29 and could be released six months from that time. Attorneys for Bresha have argued that the shooting was an act of self-defense. As previously reported on The Root, Bresha stood accused of aggravated murder in the 2016 death of her father, 41-year-old Jonathan Meadows. Bresha’s mother, Brandi Meadows, and her aunt Martina Latessa repeatedly said that Jonathan Meadows was a violent man who, for years, physically, psychologically and emotionally abused Bresha’s siblings and her mother. “[Bresha] had ran away from home because she was doing things that a 14-year-old should not be doing. So she’s not a hero; she’s a murderer. She killed my brother. This was cold, calculated. He was killed in his sleep, and the family is doing everything they can to discredit my brother. And it’s not fair,” Cooper said. The Story of Bresha Meadows: Who Will Sing a Black Girl&apos;s Song? Bresha Meadows, 15 years old, sits inside an Ohio Juvenile Detention Center. The family of Jonathan Meadows has said they would oppose any plea deal in this case. The case has gained international attention because of the allegations of domestic violence involved. #FreeBresha continues to trend on Twitter.